After a short night’s sleep, Anthony and I took a quick detour on our way to the airport to see Nebraska’s capitol, the second tallest state capitol in the country (Louisiana’s comes in first). We were impressed with the classical style and the crowning statue, The Sower, a tribute to agriculture. 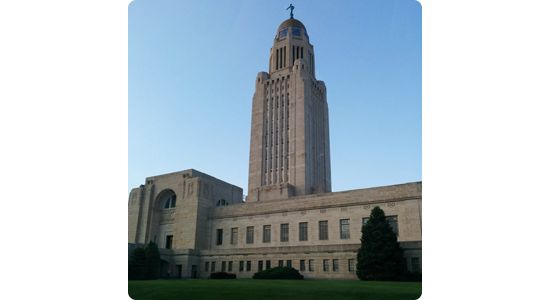 But we were even more impressed with what $10,000,000 could buy you in the 1920s and 1930s… or Nebraska. A few minutes later, we were back at the airport. Rental car accommodations are one of the most convenient parts of private air travel, and we were able to leave our rental car a few paces from the plane. We were ‘wheels up’ and on our way to Jackson, Mich. moments after that. In Jackson, Anthony and I had lunch with Don Knox, a long time pMD charge capture customer. Don is the administrator of pMD’s very first pulmonary group, and his support has helped pulmonary to become one of our top specialties. I have worked with Don over email and phone, and it was really fun to meet him in person. Although his group is still in private practice, he has seen a lot of changes with hospitals acquiring practices, and he had some really interesting insights on some of the government changes in health care. 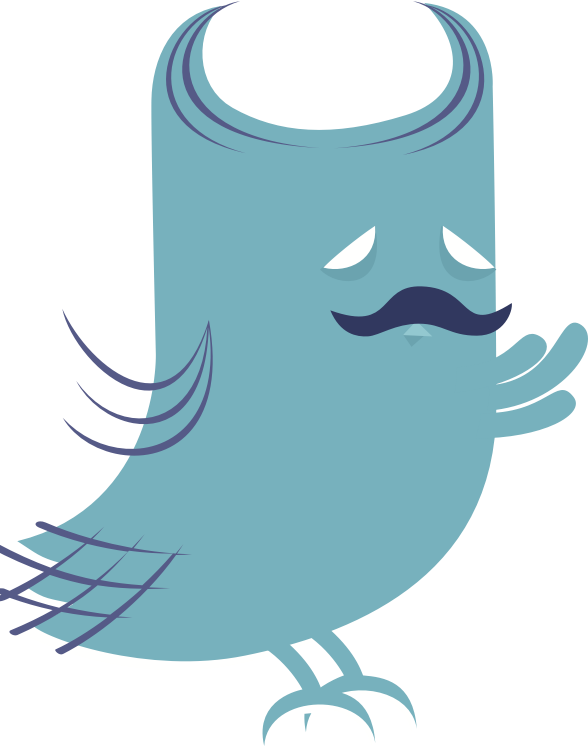 We reviewed pMD Messaging with Don to prepare for his upcoming messaging implementation, and we were able to check in with a couple of his providers. Everyone at the group was happy, and one of the doctors joked that although he found pMD easy to use, his wife would laugh out loud if anyone ever referred to him as tech savvy. We train doctors of all ages and all technical aptitudes, and this is what we love to hear. It was good to see Ahmad Alkhaled and Tariq Sharif at Medical Administrative Group, a hospitalist group and billing company in West Chester. They had some great feedback for us on how to improve their charge capture workflow for seeing duplicate billing charges, and Anthony walked them through pMD Messaging and our ICD-10 conversion. They said that they were happy, which made us happy. We made the hour long drive back to Cincinnati for the night to stay close to our early morning meeting on Thursday. We ate at the trendy Senate pub in downtown Cincinnati, which has been revitalized to its original charm before going back to the hotel for a late night with our laptops and inboxes. Lincoln, Neb. State Capitol. The dome is designed to reflect the weather and The Sower is casting the seeds of life to the wind at the top. We caught some. Jackson, Mich. 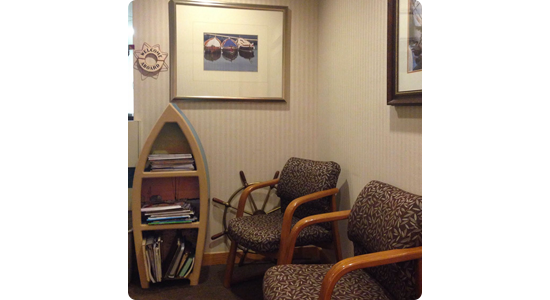 The Pulmonary Clinics of Southern Michigan office has a fun, nautical theme. They were the first pulmonary group that pMD ever welcomed aboard.